Please spare 10 minutes between now and Friday to help our community - read our call to action (below) and contact the Council - Thanks! OXFORD CITY COUNCIL BY 28TH DEC! We have one more request of our supporters before the end of the year – please contact the City Council about the latest Draft Local Plan 2036, the Council’s blueprint for the City’s development over the next 20 years. * Restoration of the Marsh Road Depot site for community and leisure use when the Depot leaves. Protecting this area will increase the chance that we can persuade the City Council of the need to replace Temple Cowley Pools. This is a vital, once-in-a-lifetime opportunity to provide integrated sports, leisure, and community facilities on the Cowley Marsh Park / Marsh Depot site, and an opportunity to encourage everyone to take healthy, sporting activity. The land on which the Depot stands was once part of the Park. It should be returned to the Park for community use when the Depot leaves; once lost to housing it will never be regained. Similarly, William Morris sports field should be reopened for public sports and community use, not designated for housing. Cowley Marsh Park is not a Park!!?? Despite the Oxford City Council sign saying “Cowley Marsh Park” at its entrance, Cowley Marsh Park is not classified as a park in the current Local Plan, or the Draft 2036 Plan, but as an open-air sports facility. This provides less protection from development. Florence Park, South Park, Cutteslowe Park, Hinksey Park and Bury Knowle Park are all defined as parks, but Cowley Marsh Park is not! Why not? This matters because parks are protected by Local Plan policy SR5, which states that “planning permission will not be granted for development” (no exceptions), unlike sports facilities, covered by policy SR2, which gives exceptions “where there is a need for the development”. At least 40% of Cowley Marsh Park has been lost to development since it was first called a “park” in the early 20th century, the latest being for the expansion of the City Council Depot (now Oxford Direct Services Ltd, ODS) in 2017 - 18. 1. Designate Cowley Marsh Park as a park, under policy SR5, to give proper protection. 3. Retain the William Morris Sports Field as a sports field, protected as open space by Policy SR2 as it is at present. The proposal for the 2036 plan is to allocate this site for housing. 2. It is UNSOUND – Form Question 3 – as the Council are not justified in ignoring reasonable suggestions from residents to increase local leisure facilities to promote mental and physical health for all. September 2018 - What's happening? The Campaign to Save Temple Cowley Pools has been a fixture in the community for over ten years, trying to keep exercise local to Temple Cowley. On Friday, 7th September, we gathered at very short notice outside the Cowley Marsh Works for a photoshoot with the Oxford Mail - thanks to everyone who could make it - great turnout! The New Temple Cowley Pools Campaign is up and running! It’s been nearly four years since Temple Cowley Pools closed in December 2014. The history of the Campaign to keep TCP open is on the website, and we are now looking to the future. The need for a swimming pool and gym complex in Temple Cowley is still there, more than ever. Over 40,000 people live within sensible walking and cycling distance of the Temple Cowley Pools site, and we all need the opportunity to exercise regularly to stay as fit and independent. What do we want? The New Temple Cowley Pools will be a leisure centre incorporating everything we used to have in Temple Cowley and more, easily accessible by walking, cycling or public transport. Swimming pool, diving pool, gym, sauna/steam suite, café, community hub. Why do we want it? The health benefits of regular exercise are recognised for people of all ages and abilities, and people should be able to get to where they want to exercise easily – a short bus ride, cycling or walking. And research shows if people need to travel for more than 20 minutes to get there, they don’t go, or don’t go as frequently. It must be in Temple Cowley. Where will it be? The City Council’s Marsh Road Depot is an ideal location, situated next to a park, and easily accessible to the people of Temple Cowley and everyone else across Oxford who used to go to Temple Cowley Pools. When will this happen? The City Council has temporary permission for the Marsh Road site for four years – during this time we can carry out all the necessary planning and get the vital funding necessary. How will this all work? We recognise that the City Council needs to focus on spending in other areas, so we will work with them and other partners, and look to fund the new centre through a combination of crowdfunding, grants and other innovative means. 2006 - there's a whisper that the City Council could close Temple Cowley Pools. A petition starts... Council spends some money, pledges to keep TCP open. 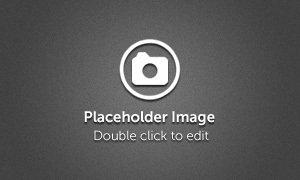 2008 - City Council commissions two independent structural engineer reports. Both say there's basically nothing wrong that a bit of tlc can't put right. Council buries the reports. In the middle of summer, with very little notice, Council calls a meeting to present findings of the report. No surprise, it's recommending a new pool in Blackbird Leys. A vote at the end of the meeting shows 98% of the public want TCP kept. Autumn - the Campaign presents a 12,000 signature hand-signed petition to Council, asking that TCP be kept open. Labour leader, Bob Price, says curtly, "That's not the whole of Oxford, I don't have to take any notice of that"
Elections are in May - challenge your councillor on what they are doing to replace Temple Cowley Pools, on or near the site - and vote, and vote wisely! Our petition was 'debated' in Council on Monday. Thanks to everyone who's signed, we look forward to the Labour Councillors actually debating it. The key point we made was that the Council's closure and demolition of Temple Cowley Pools has left an area of 40,000 people who cannot walk or cycle sensibly to a public leisure centre. We call this the "Blue Hole". And we use the term 'debate' loosely here. Labour as usual couldn't be bothered to engage; instead of addressing the points we made and engaging with us. Councillor Smith read out a long (interminable some would say) list of statistics proving that the Blue Hole doesn't exist. She 'proposed' that Council merely "note" the petition. Some people do 'get it' - shame they aren't in power, but we look forward to when they are, because then there's a chance that this Council will actually do something that the people want. So, our thanks to Cllr Craig Simmons of the Greens, who took our point about our survey showing so few Temple Cowley Pools Users exercising as frequently or at all nowadays compared to when the centre was open. He suggested to Cllr Smith that not only should the petition be noted, but that the Council should do its own survey of TCP users. This was supported by the LibDem leader Cllr Gant. But then confusion reigned as a vote was taken, not helped by the Mayor who seemed to want to rush on to other things; it wasn't clear that the vote was for noting only, and not doing a survey. Labour couldn't be bothered to do anything more, and insisted that the vote was only for noting the petition, so they moved on to less embarrassing territory. We the undersigned, call on Oxford City Council to address the loss of health, fitness and exercise facilities in the 'Blue Hole', caused by the Labour-led City Council's closure of Temple Cowley Pools in December 2014, and extended for five years in the Leisure and Wellbeing Strategy 2015-2020 adopted in September 2015. You can contact Savetcp@gmail.com with any feedback or questions. We are now 8 years on from when the public first heard that Oxford City Council wanted to take away health and fitness facilities from East Oxford. Over 40,000 people living in the Temple Cowley area are directly affected by the 'Blue Hole' the Council have created by closing and forcing demolition of Temple Cowley Pools. Many others are also affected - overcrowding at other centres people have been forced to move to, more traffic on roads as people are forced to use private transport to get there, more pressure on the NHS as people unable to get to exercise can no longer live independently, the loss of the only low-chlorine pool in the county means asthmatic children can no longer swim, the loss of the only diving pool in the county means less access for would-be Olympic diving champions, and even the crime rate has increased in the area. Support from the Community is rock solid - we want Temple Cowley Pools back! We do get asked, quite reasonably, why Save Temple Cowley Pools, if it's been demolished? Fair question. We are considering changing the name, but the SaveTCP "brand" is so strong we are reluctant to change at the moment. Now in our EIGHTH year of campaigning, with massive continuing public support - the City Council wanted Temple Cowley Pools shut over five years ago, but you all helped keep TCP open until December 2014. During that additional time users enjoyed more than half a million more visits, we exposed the Council propaganda as a combination of Inaccurate, Incomplete, Misleading and Untrue, and played our part in getting the right to video at Council meetings. The image shows the community proposal that the Council rejected - housing combined with a leisure centre and community shared space, at no cost to the taxpayer. The decision to sell the site to a commercial developer, Catalyst, was taken at the end of 2014 and the Labour Council has closed and destroyed yet another facility in Cowley. The exact conditions in the contract remain murky, demonstrating yet again the lack of openness and transparency when Oxford City Council decides not to work with the public they are there to serve. But the Campaign continues towards 2018, challenging the decisions, confronting the propaganda and working every way we can so that the community can again have the facilities it wants and needs, where it wants and needs them, in Cowley. CONTACT US! GET INVOLVED! STAY INVOLVED! The Save Temple Cowley Pools Campaign has been fighting since 2009 to keep open the Temple Cowley Pools & Fitness Centre in Temple Road, Oxford, condemned to closure by Oxford City Council. The Council rushed to close the site at 4pm on 23rd December 2014, without any notice to the public, and boarded up the centre with people still swimming in it! Support for the Campaign was immediate and huge, demonstrated through the first petition that reached over 12,000 signatures before we stopped - the largest in Oxford, simply ignored by the administration. We've continued with a succession of petitions that show people's frustration with the City Council. Petition number 8 was debated at the Council meeting in November 2014. During December 2014, the Council continued to defy public opinion, voting in an all-Labour City Executive Board meeting to go with a commercial developer wanting to put 47 dwellings and 53 car park spaces on the site. Our community Social Enterprise proposal, presented by the SaveTCP community interest company, was dismissed without any public discussion, and without us being told what the council would find acceptable. Our proposal represents £20m annual value delivered to the community, and the council has defied its voters and shown it is simply not interested. The Greens called in the decision to Scrutiny Committee on 23rd December, and despite Green and LibDem support, the 3 councillors were not about to turn over the well managed and "on message" 8 Labour councillors who knew what they had to do, so the decision stands - for now. At 4pm on the 23rd December 2014 the Council closed TCP - since then all that has happened, during summer 2016 was that the Council instructed Catalyst to demolish the site, ensuring that the community could not take over and operate the centre for the public good and at no expense to the public purse. the Campaign continues to challenge the Council decisions and work to keep and replace the facilities the Cowley community wants and needs, where they want and need them. Please browse these pages for lots more information and background. Send us an email at savetcp@gmail.com for any questions, comments and/or to add your name to our email list. We also appear on Twitter @SaveTCP (see rhs of this page for our Twitter feed) and on Facebook. Get involved! All your Labour councillors are ignoring the views of the people they were elected to serve. The Council needs to be constantly challenged because it is determined to get its way and is continually putting out information that we demonstrate time and again is a combination of MISLEADING, INACCURATE, INCOMPLETE and UNTRUE. Christmas 2018 - Call to Action! 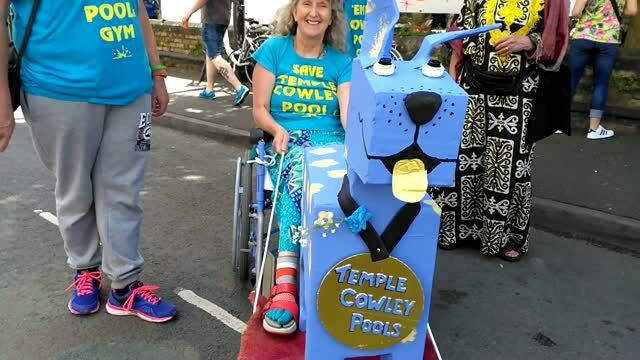 18th August 2018 - great day out at Elder Stubbs Festival, launching the New Temple Cowley Pools Campaign. Monday 27th November - Council Meeting - Our 9th Petition went to Council for debate.Full report and video to come. 38 Degrees Online Petition - PLEASE SIGN!